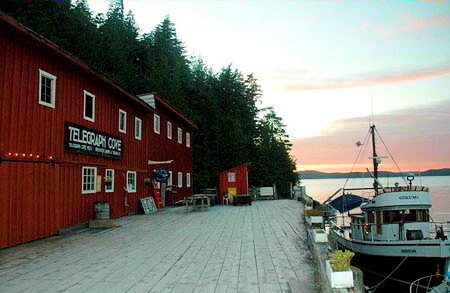 Telegraph Cove Resorts Ltd. 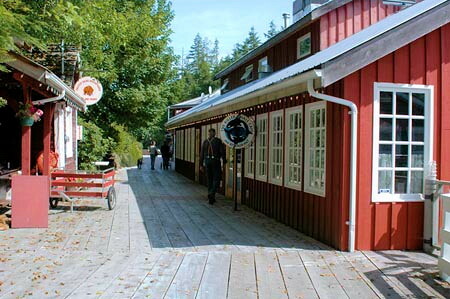 Boardwalk & Waterside Cabins, Campground, RV Park, Marina, Restaurant & Pub, Northern Vancouver Island, BC. "if you come here you will definitely want to come back, and for a longer stay!" Not only can you enjoy the beautiful setting at Telegraph Cove Resort, you can complete your experience by lodging in one of the many cabins. The cabins have kept their original charm from the past with the old "unimproved" look on the exterior and a fresh new modernized decor on the interior. All boardwalk and waterside cabins are rented for nightly stays or longer, and a full-service campsite (including shower laundry and washroom services) is also available. You will only have to walk a short distance to find a fully stocked General Store for your convenience. At Telegraph Cove Resort we have a 140 berth marina to moor your boat, and a fully licensed restaurant and pub are waiting to serve you a sumptuous meal. The Salmon fishing areas around Telegraph Cove are not only surrounded by spectacular scenery and sheltered waters, they also contain some of the most consistent salt water sports fishing on the BC coast. Most new fishermen to the area are amazed and delighted at how calm the waters are the majority of the season. As salmon migrate down between Vancouver Island and the BC coast, they funnel down through Johnstone Straits. All of this great fishing is within 20 minutes of our harbour here at Telegraph Cove, on Northern Vancouver Island where Halibut, Cod, and Rockfish are also abundant. The main emphasis of our resort is fishermen coming and "doing their own thing". We're always more than happy to show you how to catch the different fish species in our area, and if you don't have your own boat, we have guides and charter boats with experienced skippers ready to take you out for a great day on the water. At Telegraph Cove Resort, we also have a well-stocked tackle shop located in the General Store that can handle freezer bait, other baits, and fish bags for you catch. 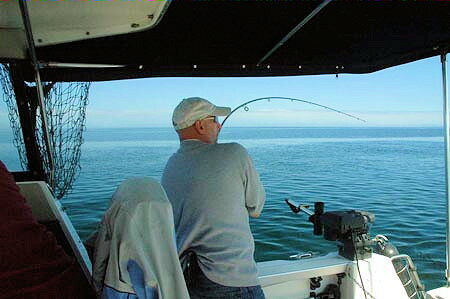 The tackle shop can also offer advice on what to use for the best results out on the water. Flash-freezing facilities are available for your convenience. Knight Inlet, and the surrounding area of Northern Vancouver Island, is truly a west coast adventure. The western end of Knight Inlet is a part of the Broughton Archipelago Marine Park. Knight Inlet is eighty miles long and cuts through the Coast Range of Mountains; prime mountain goat, black bear and grizzly bear habitat. 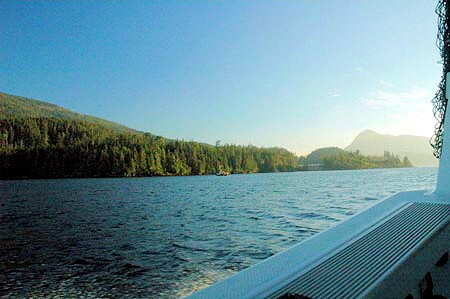 Telegraph Cove offers the most accessible departure point to Knight Inlet and area. 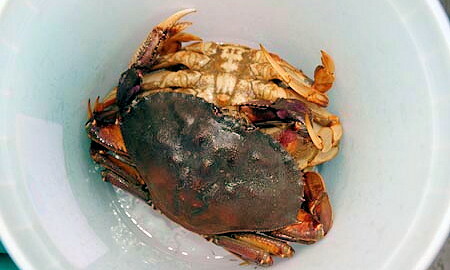 Our day long charters offer a customized trip during which you have the opportunity to sightsee, fish for Chinook, trap and cook Dungeness Crab, and hike up pristine waters. Wildlife can be seen everywhere and there's always a chance to see Orca, Humpback, and Minke whales while traveling across the Johnstone and Queen Charlotte Straits with Stubbs Island Whale Watching Tours. If you travel up Fife sound, you are sure to see up to a hundred Stellar Sea Lions on the only 'haul-out' rocks on this inside passage. Bald eagles, as well as porpoises, black and grizzly bears, seals, and deer are all common sights. You can also watch grizzly bears feast on salmon amidst the majesty of Knight Inlet with Tide Rip Grizzly Bear Tours. as well as Outdoor Photography and Wildlife Viewing. Planning a special event? Then think about Telegraph Cove and its world class facilities. We are available to help you with your plans for anniversary, wedding, reunion, or birthday celebrations. and take pride in being able to present it to visitors and guests in as close to its original condition as possible. 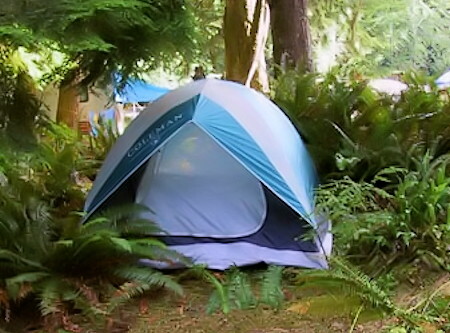 You'll love our cozy cabins in the cove, our camping in the forest and our RV campground. Remember, the most important reason people return year after year, to Telegraph Cove Resort, is because they feel like family! Telegraph Cove Resort, on Northern Vancouver Island, British Columbia, Canada.